Governor Terry McAuliffe: I strongly support Virginia’s adoption of a state Clean Power Plan, and hope you will take full advantage of this opportunity to reduce carbon pollution from coal and gas power plants. The Commonwealth is behind the curve on renewable energy and energy efficiency, and I want to see our state on top. I believe the best way to create clean power and the associated jobs that Virginia lacks, is to: 1. Create energy efficiency and solar financing options for homes and businesses; 2. Jump-start renewable energy projects by adopting aggressive state targets and removing policy barriers that are holding the market back; and 3. Address carbon pollution emissions from both new and existing power plants. With a commitment to energy efficiency and renewable power, Virginia families and businesses will waste less energy and keep our electricity affordable and reliable, while ensuring our children have clean air to breathe. 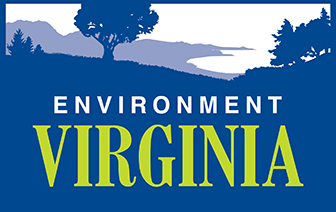 Please use this clean power planning process as the framework to create win-win solutions for all Virginians – that reduce pollution and ensure consumers receive the economic benefits.